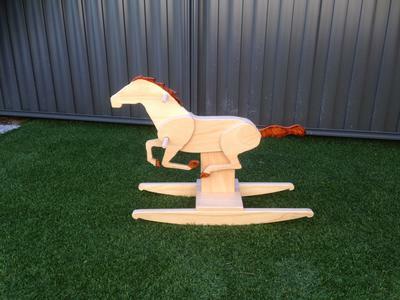 I saw a great mustang rocking horse and wanted to try it out. I found a picture of a kids cartoon called Spirit and used that as my reference. Although i made some mistakes, such as mounting it just a little to far forward it rocks and looks pretty good for an amature like me. 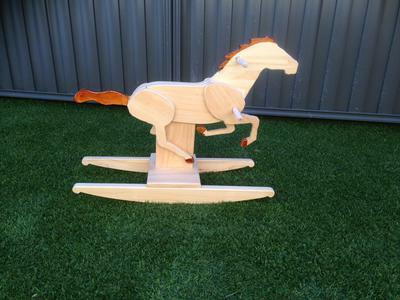 Giving this to my mates grand daughter.